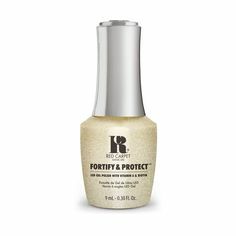 Introducing NEW Red Carpet Manicure premium soak-off gel polish with Vitamin A and Biotin, addressing the needs of those fashionistas who always want their nails looking their best. Red Carpet Manicure’s proprietary soak-off gel has a long-wear formula that lasts up to 21 days when used with our 3-step colour lock system. 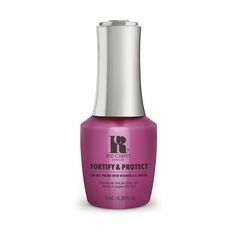 This unique gel formula with key vitamins offers a Base and Top Coat along with new classic and trend shades launching throughout the year. The new easier to use bottle, cap and brush, makes your experience red carpet perfect every time. Equally exciting is the new Fortify and Protect packaging for Red Carpet Manicure. Each bottle is more perfectly matched to the actual shade and has a unique shape that shouts quality and prestige. The brush is professionally designed to apply product evenly and streak free. It will help the consumer lay down the perfect amount of product every time for a salon result; in the comfort of her own home.